Schedule a Free Mobile Strategy TODAY! QUICKAPPS – 6 Powerful Stats – What is a Push Notification? Picture This ­ It’s Monday morning, pouring with rain and your son Max has been sick all weekend and there is no way he is going to School today, so you call your boss to tell them you will not be at work today ­ job done! now onto getting a nice cup of hot tea. It’s 8.45 am and you suddenly get that sick feeling in the pit of your stomach that you have forgotten to do something….. Contact the School to let them know Max will not be attending today, where is the School’s phone number?, what is that txt number?, what is the email address? You start to panic as the clock ticks away, then you remember that the School has a Mobile App, you pull out your phone, fire up the App and click on the Absentee Tab and complete the fields and hit Submit. Panic attack over as you have let the right person at School know that Max will be away today, now where is that cup of tea? This is just one of the features that QuickApps provides to Schools to help them engage and communicate with their Parents and Community. If you can relate to this story and your children’s School does not have a Mobile App please forward my contact details onto your School as I would be more than happy to have a chat with them. 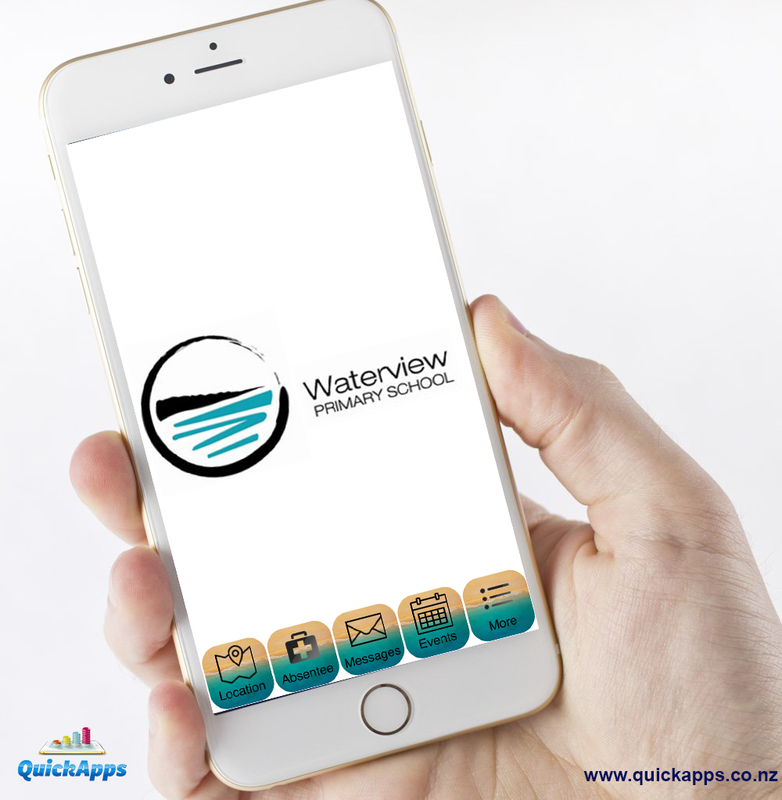 QuickApps are Mobile App Development Specialists based in Auckland, New Zealand. For further information or a Demo please visit wquickapps.co.nz or craig@quickapps.co.nz or 0212284414. © Copyright 2015. All Rights Reserved. QuickApps New Zealand. Made by Express Web Studio New Zealand Owned and Operated.